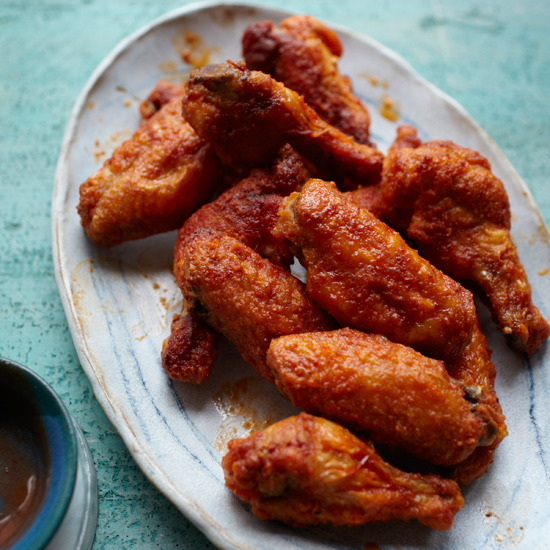 These Classic Hot Wings would pair perfectly with an equally classic lager. My secret theory about why chicken wings and football go so well together can be demonstrated by a very simple experiment. First, go to the store and buy a chicken. Next, remove its wings. Next, truss its little feet together. Now paint it brown. What does it look like? Exactly: a football. Chickens are footballs, except for the wings. And that’s why when we watch football, we eat chicken wings. Some people might question the logic of the above theory, but they, of course, have not been drinking enough beer. Because that is the other thing that goes perfectly with chicken wings: beer, and enough of it. Best Beer Bars in the U.S.